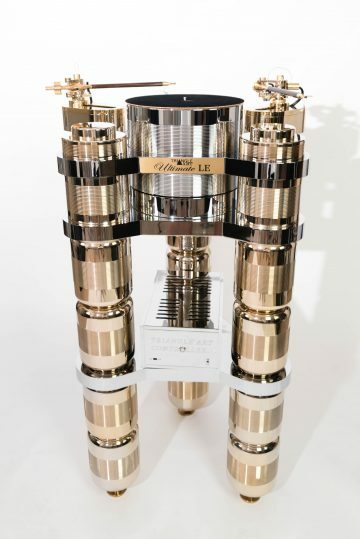 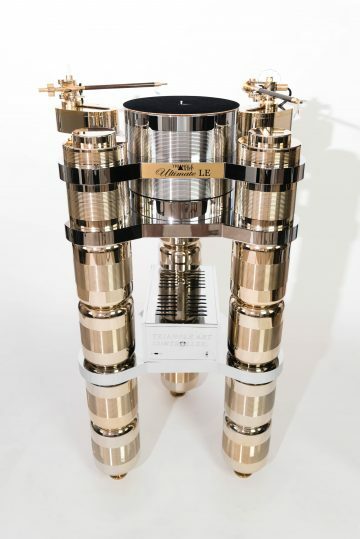 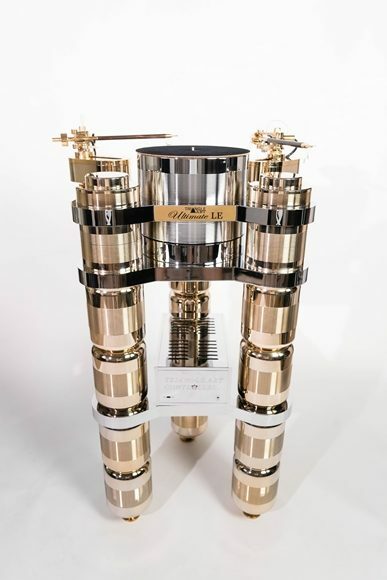 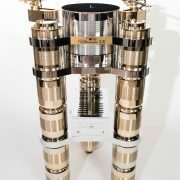 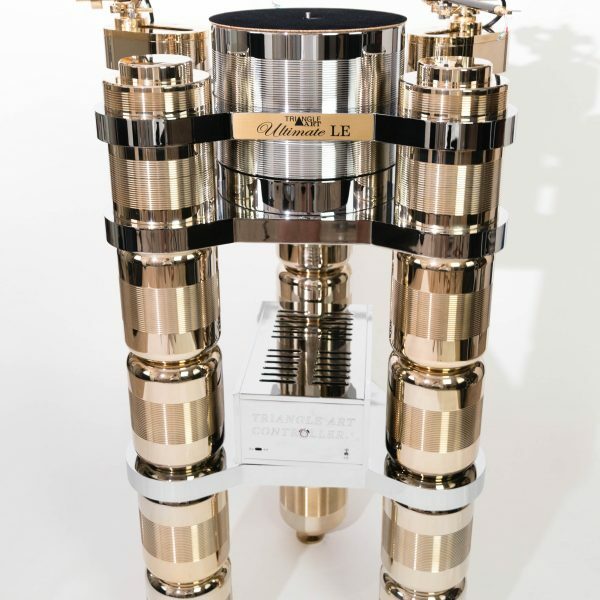 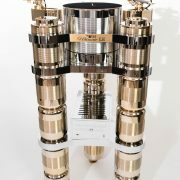 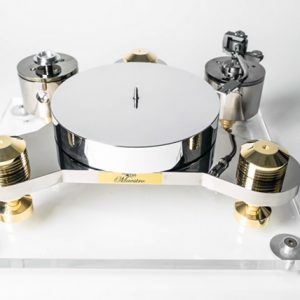 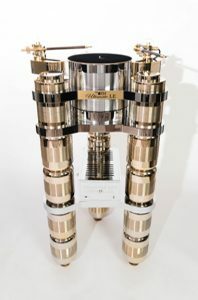 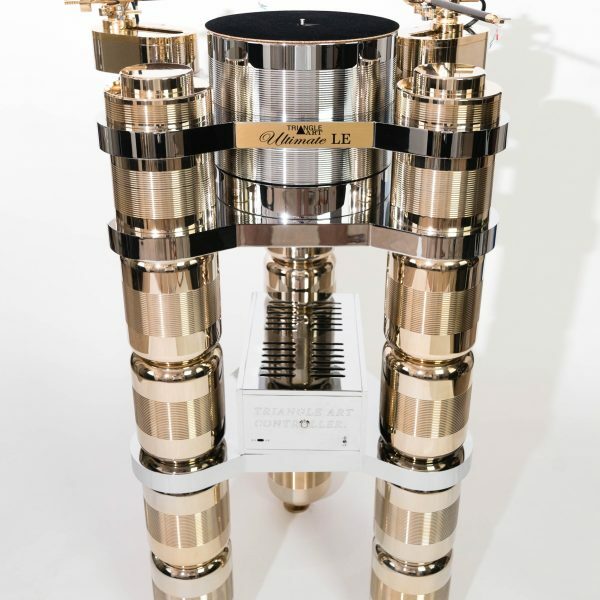 A combination of superb design with exceptional engineering, every part of this glowing gold and chrome behemoth of a turntable is 850 pounds packed with innovation, and exudes a luxurious feel, enhancing your listening experience tenfold. 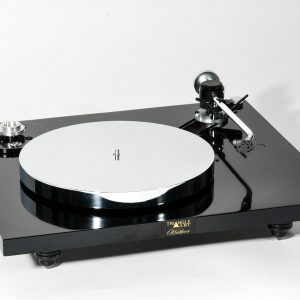 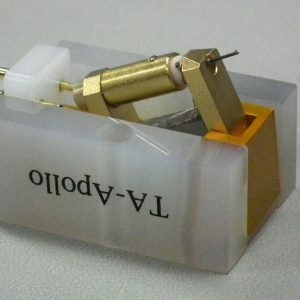 This outstanding masterpiece will set a new standard of performance for analog music reproduction. 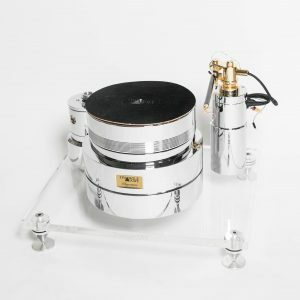 Ultimate LE2 includes double thick chrome platter that weighs over 100 pounds, as well as an AC motor controller superbly crafted with Crystal Digital Technology.